You'll probably walk past this take-out only spot in Albany Park the first time, since the windows are plastered with faded advertisements. But it's an unexpectedly great sushi option, as well as a fish market, so you can get maki to go along with your dinner ingredients. Order ahead and they'll have your super cheap sushi ready when you arrive. 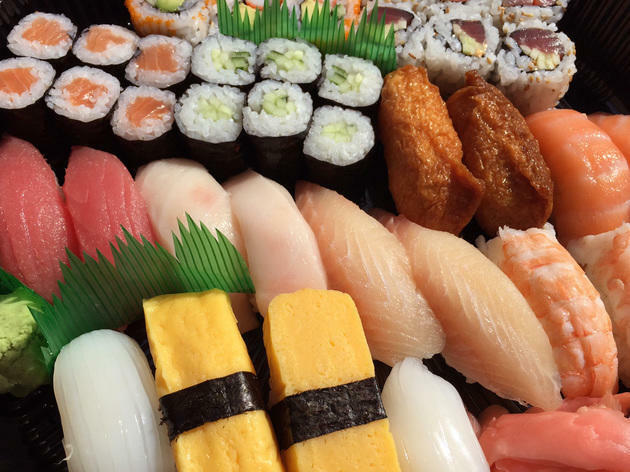 A tray with 16 pieces of nigiri, a California roll and a spicy tuna roll is just $21, and most nigiri are $1 apiece, with six-count maki rolls starting at $2. These prices are cheaper than grocery store sushi, and while the maki may not be perfectly wrapped, it tastes world's better. Best sushi and BEST price! 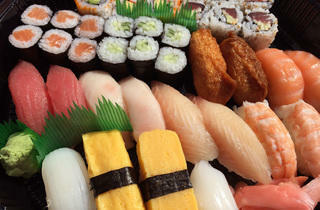 Amazing sushi and on cheap but never skimp on quality! Cheap, delicious sushi. I order platters of it for almost every party I have.